Cup O' Joe with Stan Lee, Joe Quesada & Kevin Smith! Now with added Kevin Smith! That's right, folks! This just in, Kevin Smith will be joining this Friday's Cup o' Joe with Stan Lee event at The Paley Center! Joe Quesada, Stan Lee and NOW Kevin Smith! It's a geek trifecta! Purchase tickets at this link and join us at The Comic Bug Manhattan Beach by 9 a.m. to cruise there on the BUG BUS (our version of a party bus!) courtesy of The Hero Initiative! Tickets are $125 plus service charge, but we're offering a very special REBATE to our Comic Bug peeps! Choose between a $30 cash refund or $50 in store credit the day of the event! Oh, and you get this nifty autographed poster too! All proceeds benefit The Hero Initiative, a great charity that looks out for many, many comic creators who could use a helping hand. Click the link and join the party! Huzzah! 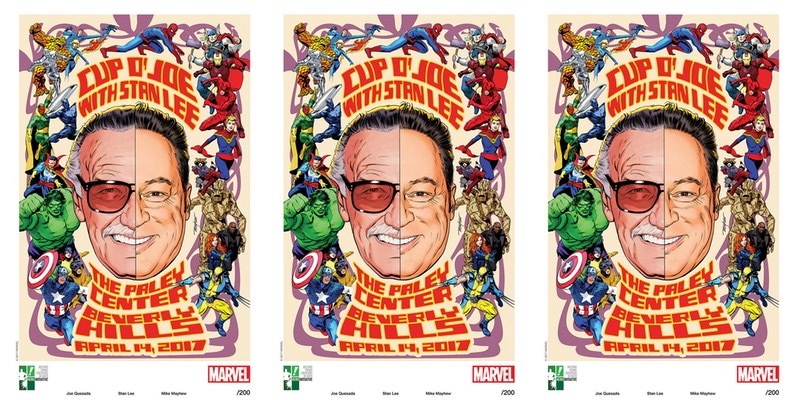 Marvel Chief Creative Officer Joe Quesada is bringing back his famous "Cup o' Joe" chats in a spectacular way in a spectacular place—The Paley Center in Beverly Hills! And he's bringing along the GREATEST of all possible guests—Stan "The Man" Lee! And YOU can be there for this fun and historic event! A mere 125 tickets will be made available at $125 each for this great Friday lunchtime event! It's the PERFECT way to take an afternoon off work and ease into your weekend while being regaled with great tales of the Marvel Universe from Stan and Joe! Ticket proceeds benefit Hero Initiativem the charity the helps comic book creators in medical and financial need! WHO: Stan Lee and Joe Quesada! 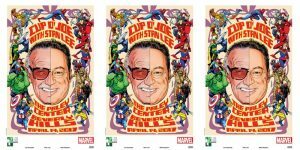 WHAT: Cup o' Joe, Joe Quesada's freewheeling Marvel chat, WITH Marvel Universe founder Stan Lee! WHY: Because it's a GREAT event that benefits a GREAT charity! WHERE: The Paley Center, 465 N. Beverly Drive, Beverly Hills, CA. MASSIVE ramp parking right across the street! WHEN: Friday, April 14 at 11 a.m. Have a great time, and hit lunch after! A small, intimate, cool event with Stan Lee and Joe Quesada! Great tales of Marvel Comics and Stan's fascinating life and times! BEST of all, a commemorative print TRIPLE-signed by Stan, Joe, and artist Mike Mayhew! Get your tickets NOW! They're sure to sell out fast!